Where do I find detailed information about the camp? Do we have to stay the weekend in a hotel if we want to attend Summer Camp? No, staying in the hotel is not a requirement. It is offered as a convenience. The training days during camp start at 9 am and are usually not done until 6 or 7pm. For some it's just more convenient to stay at the conference location, but it is by no means required. Do the students train non-stop during the camp? Absolutely not. We take breaks every couple of hours. The goal of the camp is not to wear people out. The goal is to give every attendee an exciting and memorable training experience. Is the camp only for adults or advanced students? No way. The first time that I attended a camp I was a gold belt (11 years old) and I learned so much that I was able to test the very next week that I attended class. There is something in the camp for all ranks and all ages, and the best part is that the student gets to pick what is most interesting to them. More often than not, it will be something that they DON'T GET IN NORMAL TRAINING CLASSES. Can I drop my student off at camp during the day? Yes you can. The camp is a pretty closed environment, where the students will be around their friends, classmates and instructors. We only ask that if you are going to drop your student off, make sure that you have partnered them with someone that can look out for them, you have left them with food or money to get food, and you have left clear information for them to get in touch with you if they need to. Please do not assume that Renshi will be able to watch them. As the event host, he will be very much preoccupied. What does the registration for camp cover? The registration fee for camp covers the students participation in the camp training sessions. That includes all training sessions with the Hanshi and other instructors, as well as any one on one training that the students request while at the camp (This is a great time to get one on one training with a black belt). The fee also covers the cost of the banquet. The registration does not cover testing, other meals (outside of the banquet), souvenirs, or extra social activities. How old does a student have to be to participate? This year we are allowing student 6.5 years and older. Will Renshi McCammon be teaching the classes during camp? It us unlikely that your student's classes will be taught by Renshi McCammon during the camp. The concept of the camp is for the students to meet other students as well as instructors. Are all students required to participate in the tournament? No. Actually the tournament is only for students 9 years and older, and green belt or higher. Students participating in the tournament who when first place will have their tuition for next years camp waiver COMPLETELY. No. Dojo will be closed until the Monday following camp. Their will be no Karate class for those students who are not participating in the camp during the camp weekend. How much is the banquet for non-participants? The banquet will be $30 per person for non-participants (parents and friends). Can people attend the camp just to watch? Yes. Spectators are welcome. The cost of attending is $5. Does the time spent at camp help towards my next belt test? Yes. Any student that can demonstrate understanding of the required material for their next belt test, may test during the camp (Sunday morning) regardless of accumulated training hours. 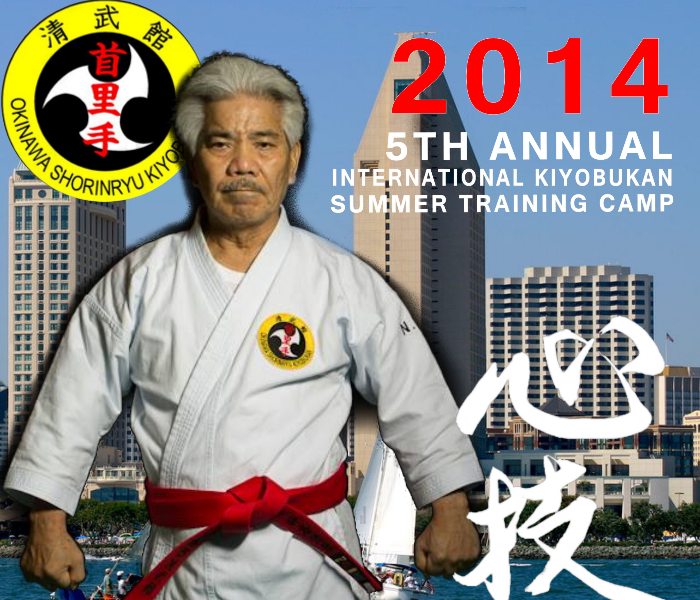 After the camp every student will be granted 10-hours towards their next belt test. When do the rates at the hotel go up? July 4th. Don't miss that date! How can I register for camp?